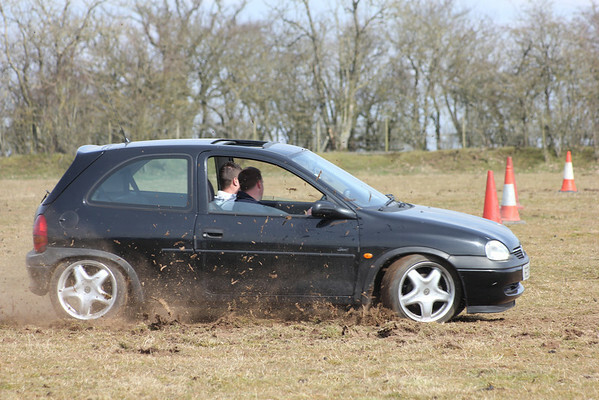 Autotesting and Autosolo’s are a good way of introducing yourself to motorsport. Both disciplines of the sport follow a similar idea but with some slight different rules applied making one or the other more appealing to different people. Both are organised by most local clubs and each club have slightly different ways of doing things. Here I try to explain how to get started in them and their differences the way Spadeadam have done them. Autotests are normally run on private land, car parks and grass fields. A course will be set out using traffic cones or other type of marker ie pipes, posts etc. 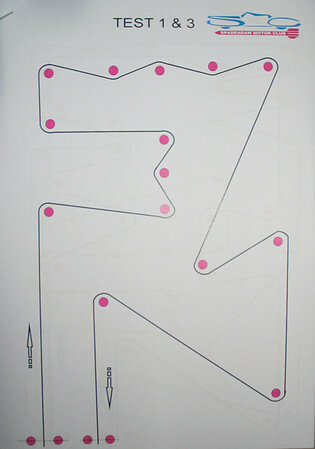 The idea is to drive the course as it is drawn on a map you will be provided, the quickest time wins. However if you hit a marker or go the wrong way around the route time penalties will be added so precision driving is rewarded. An example of a “test”. Navigators can be in the car to help you get the route correct and the cars can vary depending on the event permit the organising club have got. Spadeadam MC’s are always ‘Production Car’ which means that one off kit cars aren’t eligible but at higher level (British Championship) specials can be used. Cars don’t need to be MOT’s, Taxed or insured so can be trailered to the event. An event will normally be 5 different routes which you do twice and count all ten times to get a result. 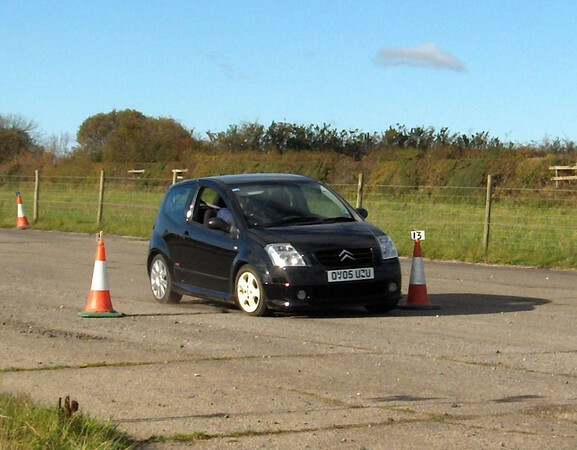 Autotest – Fun, cheap motorsport! Autosolo’s are very similar but they have to be on a tarmac surface. Cones (marker) are set out in pairs to define the route all having numbers or letters on the right hand side one. You will again be provided with a map by the organisers but you aren’t allowed navigators so slightly more memory orientated but helped by the markers being numbered 1,2,3 etc. or a, b, c etc and you pass then on the same side helps. Again quickest time wins as long as you have done the correct route and not hit any markers. Cars have to be a production car which is MOT’d, taxed and insured, so you can turn up in your road car and take part. An event will normally be 4 different routes (dependant on time and numbers) and you do them three times and count the two best times after penalties. Autosolo’s require a car that is taxed, MOT’d & Insured. Spadeadam MC don’t currently have any plans to run Autosolo’s due to being unable to find a suitable venue, so the committee would like to hear from anyone who knows where there is a good tarmac/concrete area which we can use. Example farm tracks, yards & around buildings etc.